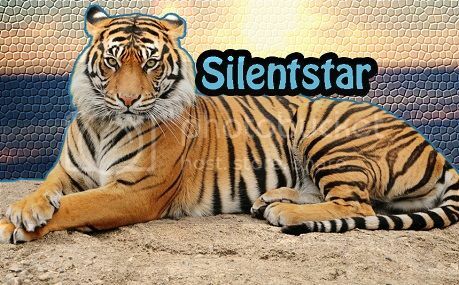 Silentstar pressed his nose into Gentletail's fur, then tossed his head back in a roar. "Tigers of StonePride. Listen, And I will appoint the new deputy. I say these words before StarPride so our ancestors may hear and approve my choice...Hawkleg will be the deputy of StonePride!" "Thank you, Silentstar." answered Hawkleg. "Hawkleg, Hawkleg, Hawkleg!" cheered Wildheart for the pride's new deputy. Mistpoppy padded into the StonePride camp, carrying yarrow in her jaws. She made her way into the den she shared with Thornpaw, placing the yarrow into the storage. "I, Silentstar, Leader of StonePride, call upon my warrior ancestors to look down on this apprentice. He has trained hard to understand the ways of your noble code, and I commend him to you as a warrior in his turn. Windpaw, do you promise to uphold the warrior code and to protect and defend your pride, even at the cost of your life?" "Then by StarPride, I give you your warrior name. Windpaw, you will be known as Windwillow. StarPride honors you and we welcome you as a full warrior of StonePride." Padding forward, Silentstar rested his muzzle on top of Windwillow's head. Windwillow licked his father's shoulder, then sat back and listened to the pride call out his new name. "Windwillow, Windwillow, Windwillow!" cheered Twilightfall for his new denmate.